Manuka honey is produced when bees feed on the nectar of the Manuka tree, a relative of the Tea tree that is native to New Zealand. While all honey has antibacterial properties, the healing benefits of Manuka are known to be especially powerful due to its high concentration of methylglyoxal (MG or MGO), an antibacterial and antiviral compound. For this reason it is often considered the most superior honey for prevention and healing, both inside and out! 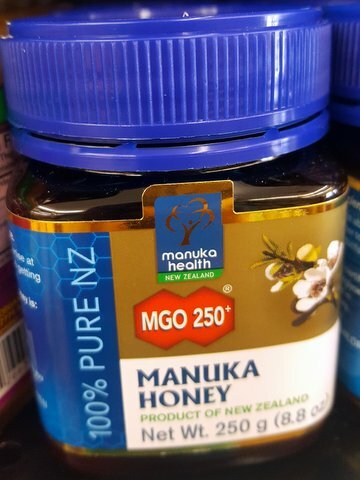 How to choose: for therapeutic benefits, look for Manuka honey with a UMF rating of 10+ or an MGO level of 250+. To borrow a phrase, eat a teaspoon a day “to keep the doctor away”. Spread on apple slices, toast, stir into tea, or otherwise consume anywhere you enjoy honey. 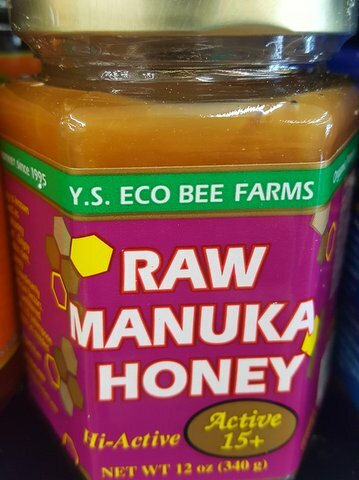 The latest fun and funky ways to consume Manuka honey also include lollipops and lozenges, or try the tasty daily shots by Wedderspoon Manuka Honey Plus that arrived at Basics last fall! Cold and flu season is at its peak right as we speak, so there’s no better time to give Manuka honey a try.